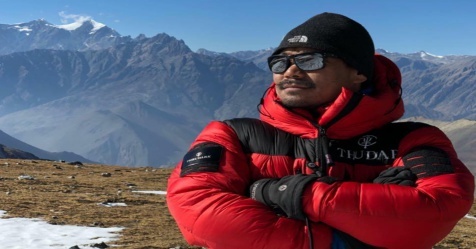 Hari Budha Magar, a former British Gurkha soldier, is set to become the first above-the-knee double amputee to climb Mount Everest. This is after Nepalese authorities were ordered to reverse a climbing ban issued in 2017. In December 2017, the government of Nepal issued an order banning double amputees, blind, and solo climbers from attempting to climb its mountains, including Mount Everest. This was to reduce the number of accidents. However, Magar never gave up on his dream. In a Facebook post at the time, the 38-year-old former soldier had called the ban discriminatory and an injustice. The new rules were challenged in the Supreme Court of Nepal. The Court ordered that the ban be overturned. Magar lost his legs after stepping on a bomb in Afghanistan in April 2010. The Gurkhas of Nepal have served in the British army for 200 years. They are known as being among the toughest soldiers in the world. Magar now lives in the United Kingdom. He has scaled many peaks like the Ben Nevis and Mont Blanc. He is the only above-the-knee double amputee to scale the 6,476-meter (21246-foot) Mera Peak in Nepal. Magar says that he has wanted to climb Everest since he was a child as he had heard so many stories about it.